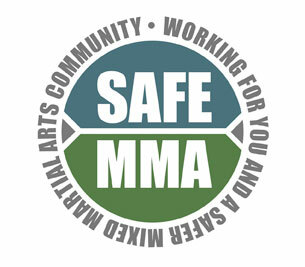 Marshman began his professional MMA career on 31 January 2010, with a TKO win over Karim Mammar. He went on to fight another four times in the following 5 months, winning each by TKO. He returned to fighting after a 11 month absence, knocking out previous opponent Kevin Reed with a punch. He went on to win another two times, beating Lee Chadwick by TKO and Mike Ling by submission. He amassed a record of 8 wins and 0 losses by this point, showing his great boxing and improving grappling in his first eight bouts. On 10 September 2011 Marshman made his BAMMA debut at BAMMA 7, going against Carl Noon to crown the inaugural British Middleweight Champion. During the first round, Noon out grappled Marshman and was beating him on the ground with vicious ground-n-pound, which made Marshman’s left eye swell near-shut. Despite the beating Marshman showed the referee he was still able to fight, going for submission attempts during the later part of the round. At the start of the second round Noon was noticeably exhausted, which allowed Marshman to gain momentum by getting the better of the standup and was able to do some ground-n-pound of his own towards the end of the round. In the third round he was able to beat Noon by TKO. 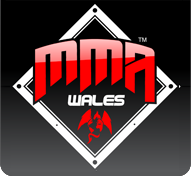 The win crowned him the first British Middleweight Champion of BAMMA, as well as making him the first British title holder of BAMMA, the first Welshman to win a title in BAMMA and became the youngest title holder in BAMMA. He defended his British Middleweight championship for the first time at BAMMA 8 against Englishman Lee Barnes, defeating him via unanimous decision. Marshman competed at BAMMA 9, challenging Tom ‘Kong’ Watson for Watson’s BAMMA World Middleweight Championship. He lost via second round TKO. Marshman defeated Andrew Punshon at BAMMA 10 via submission (triangle choke), but because Marshman came in overweight, he was tripped of the belt before the fight. If Punshon won, he would have been rewarded the belt. 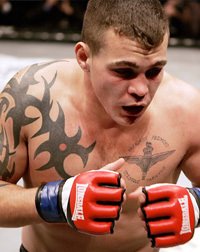 On December 1, 2012 Marhsman lost to two time UFC veteran Xavier Foupa-Pokam at BAMMA 11 by split decision. Marshman made his professional Boxing debut under the Independent Boxing Association on the 21st July in Colchester’s Liquid Night club. He competed at Cruiserweight and won via first round stoppage due to a bodyshot.